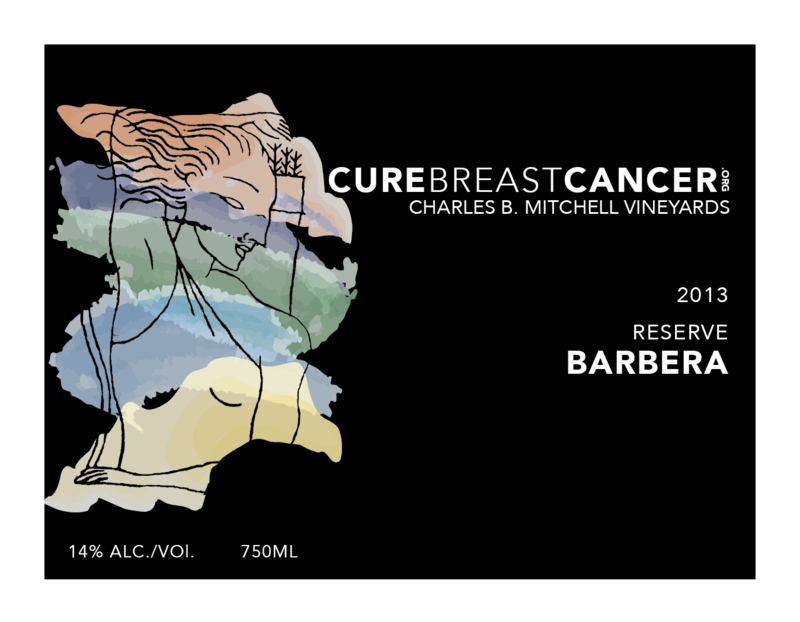 This 2013 Amador County Reserve Barbera is part of the Cure Series, a new collaboration between Charles B. Mitchell Vineyards and Cure Breast Cancer in support of breast cancer research. 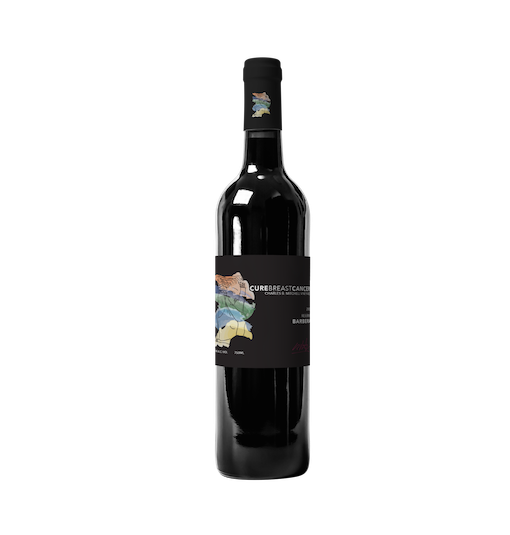 Uncork and fill your glass for a great cause. 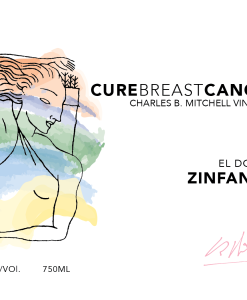 The Cure Series was inspired by Dr. Ernie Bodai and the amazing contributions he has made to the field of breast cancer research through the Breast Cancer Research Stamp, the first fundraising stamp in the US. Since Dr. Bodai created the Stamp in 1995, it has sold over 980 million units and raised nearly $81 million for breast cancer research. The design of the Cure Series pays tribute to the Breast Cancer Research Stamp and aims to spread awareness for potentially life-saving screenings. 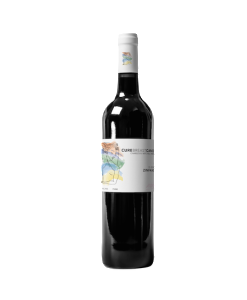 Cure Series labels feature the outline of the Stamp, which depicts Diana, the Roman goddess and protector of women, reaching behind her head and pulling an arrow from her quiver to fend off an enemy. The image of Diana reflects the same position that a woman assumes for a breast self-exam and mammography. 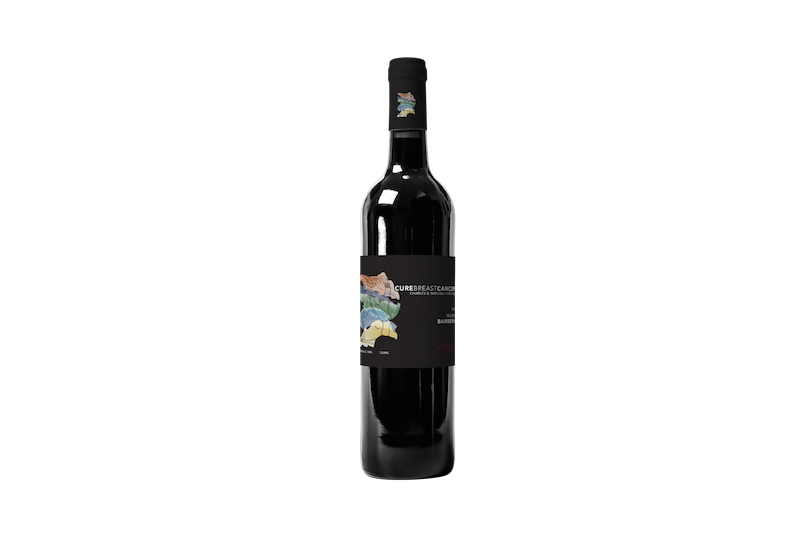 Winemaker Charles B. Mitchell believes that if postage stamps can create so much good, then something as beloved as wine can have an even greater impact. It is our hope that this new collaboration can produce a similar effect in the fight against this disease. 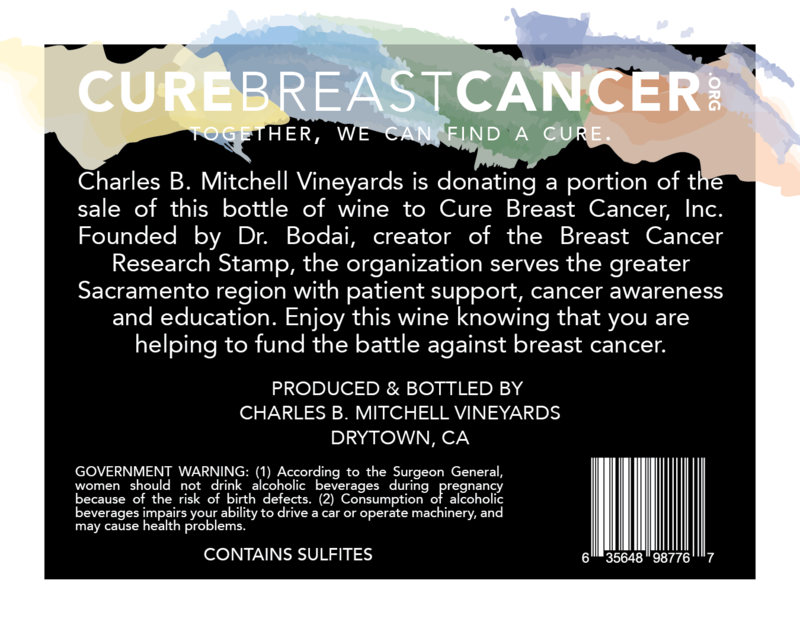 Charles B. Mitchell Vineyards will donate thirty percent of the proceeds from all sales of the Cure Series to Cure Breast Cancer to help fund research and education efforts.